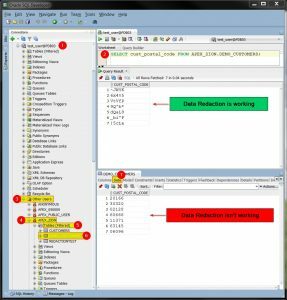 Using Oracle SQL Developer we are logged as “test_user” (1), We run SQL query (2) and as a result we can see masked data. Next, in the same session navigate to Other Users (3) -> APEX_ZION (4) -> Tables (5) -> DEMO_CUSTOMERS (6) and click on Data tab (7) to view table’s content. Surprise, the data is not being redacted anymore. 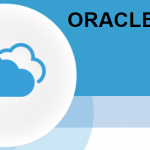 In addition please read David Litchfield’s white paper “Oracle Data Redaction is Broken” here (PDF). I checked all three methods in my labs in September 2016 and in result we see that using “RETURNING INTO” and “XMLQUERY()” methods appear to be fixed. 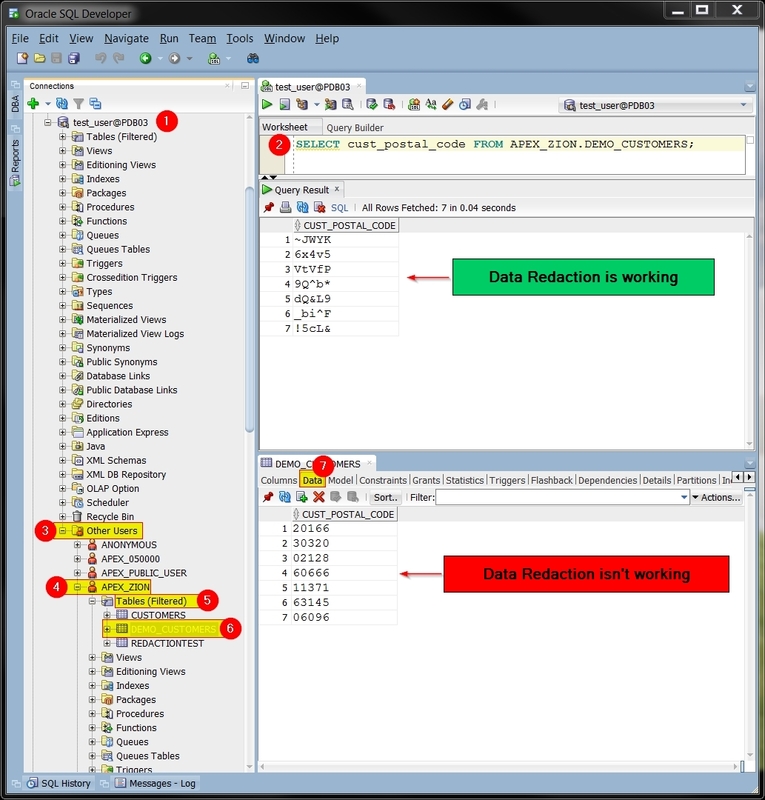 However one gap still persist in a Database 12c version 12.1.0.2 – “an iterative inference attack”. It is possible to be executed disclosing redacted data even to a regular test_user, with “create procedure” and “select” privileges on a target table! 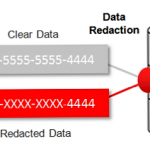 According to Oracle documentation it is a constraint in data redaction. 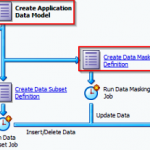 All in all Oracle Data Redaction seems to be very handy feature next to well known Oracle Data Masking option. However facing above flaws it is a bit pointless to implement it in any of the environments. And the sad part of it is that David Litchfield has reported his findings to Oracle in 2013 and Oracle did not “fix” it yet (2016). I’m not sure whether bug from SQL Developer has been already reported to Oracle, this is something that I’ve discovered today. Please leave your comments if you know more similar flaws or how to tackle existing ones. 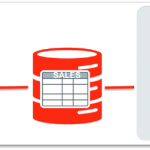 Oracle Data Redaction is not intended to protect against users who run ad hoc SQL queries that attempt to determine the actual values by inference. Now I’m asking myself, what’s the point of using data redaction whatsoever? It’s like asking my boy not to watch certain TV channels securing them by default security pin 0000. 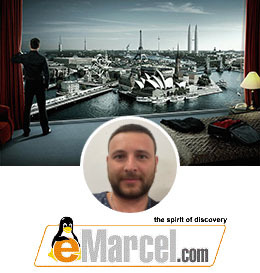 Do you know any use cases of using data redaction? Please leave your comments down below.